Is there a better alternative to PDFMate PDF Converter? Is PDFMate PDF Converter really the best app in Word Processing category? Will PDFMate PDF Converter work good on macOS 10.13.4? PDFMate PDF Converter is a powerful 6-in-1 PDF converter that enables users to convert PDF to Word, EPUB, Text, JPG, HTML, and SWF text-based formats easily and accurately. 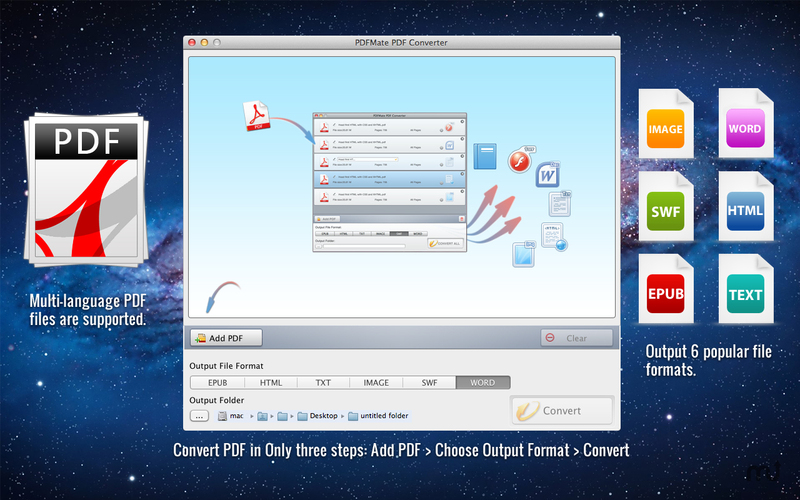 It is the most handy and convenient PDF converter tool for business/study usage. PDFMate PDF Converter needs a rating. Be the first to rate this app and get the discussion started!